Cyprus long stay winter holidays. Cheap deals for sunny winter breaks. Cyprus is gorgeous during winter as well. Enjoy your sunny winter holidays at a top resort. Cyprus is an ideal destination for long stay winter holidays. Half of the winter days are sunny. Less noisy, with affordable holiday deals and many things to do Cyprus is unique for winter breaks. 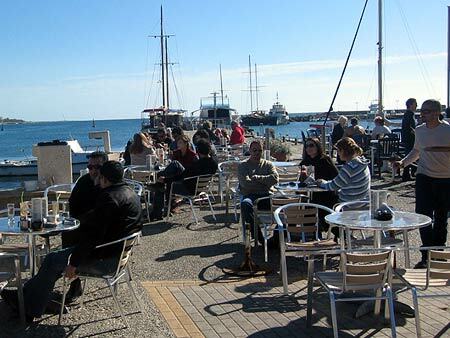 Even during winter Cyprus enjoys a lot of sunny days. Of the 90 winter days during December, January and February you may expect around 40 sunny days. From the rest days of winter, about 40 are rainy days and 10 are cloudy days. From the rainy days, some combine rain and sun during the same day. 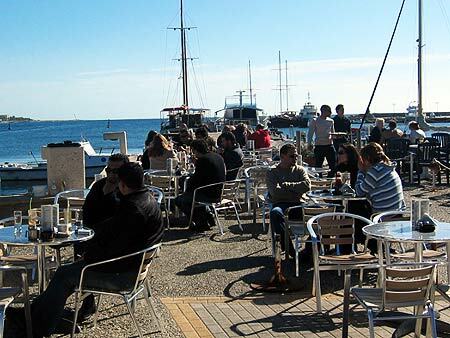 A combination of 2-3 hours of rain and then 2-3 hours of sun, or vice versa, is not unusual in Cyprus during winter. Raining for many continuing days is not common in Cyprus. Usually the consecutive rainy days are no more than 2 or 3. And even when this happens it is vary rare to rain all day and night. This does happen, but it is more common to have rainfalls of a few hours with dry intervals between them. Very heavy rain is not common in Cyprus. Unfortunately, because of the climate change, we see in the recent years more severe rains. At the same time, consecutive sunny days can be 5 or more. Of course, nobody can promise how is going to be the weather during your holidays. During the summer, because of the high temperatures, Nicosia is almost unreachable to visitors. But the lower winter temperatures help to discover a very charming city. Museums, theaters, sightseeing, the Old Town of Nicosia, shopping, fantastic restaurants and bars are just a few of what Nicosia can offer to a visitor. There are many very good golf courses in Cyprus, waiting for you to exploit. Yes, Cyprus is a golf holidays destination as well! Usually in Cyprus it snows during late December and January, so skiing is possible during late December, January and February. I must stress out again that snowing is common in Cyprus on Troodos mountains, but snowing enouph for skiing is not the every year rule. If you are lucky enouph, then skiing is something to consider and enjoy in Cyprus. Does it make cold in Cyprus during winter months? Yes, there are a few cold days. In Cyprus it does make cold weather sometimes in winter. Even when the temperature is around 15 - 16 degrees, there are visitors saying that they feel as if the temperature was a lot less. There are days that are really cold, with temperatures around 10-12 Celsius degrees during the day and near zero during the night. On the mountains, temperatures fall sometimes below zero. This, however, is not the usual weather in Cyprus. Temperatures between 15 and 20 Celsius degrees are what to expect most of the winter days. During a sunny day this means that you can easily go out with a t-shirt. Nights are always cold. The average temperature during the nights in winter is around 10-12 Celsius degrees, or even colder. On the mountains, it is colder, with temperatures near zero. Unfortunately the global phenomenon of climate change affects Cyprus as well. Many times we as locals stay wondering, scratching our heads about the weather. In recent years we have seen strange weather in Cyprus, as it happens around the world. I write this because I try to be as honest as I can about everything about your winter holidays. Others – or other destinations may say how wonderful are for long stay winter holidays, and how perfect is everything. I assure you that Cyprus is a really wonderful winter resort, however the weather may not be helpful during all the days of your holidays. And this is as true for Cyprus as is for any other place during winter. On Troodos Mountains it snows almost every year. There is a ski center operating on the mountain. If the snow is adequate, then you can do ski here. Even when it snows on the highs (usually about 800 and more meters of altitude) of Troodos Mountain, the weather at the coastal areas is good. 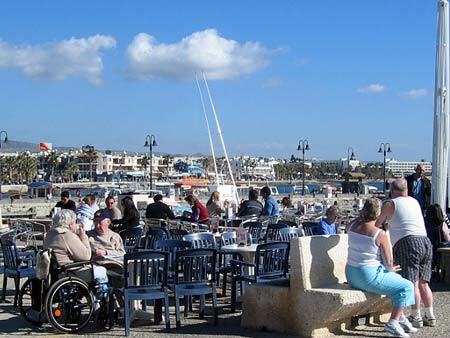 So you can enjoy a sunny morning in Paphos or Limassol and then visit the mountains for ski. 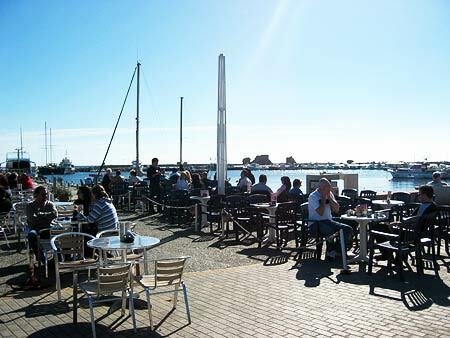 Another sunny winter day at Kato Paphos harbour. Photo taken in January. We can create a personalized package based on your own circumstances, desires and requirements. If you find this interesting, then just fill the form below. Please fill all required fields. We ask a lot of questions, but this way we get a good idea what you are looking for and we concentrate on your requirements, eliminating guessing. So, just get things rolling by sending us a message.